Remember learning about the time value of money, that concept that a dollar now is worth more than a dollar in the future? No matter how hard I try to make proving that my life’s work—using cars in place of dollars—I keep running into exceptions to the rule. Actually, the older I get, the better I realize that time is not the great miracle worker it gets credited for being. It certainly hasn’t healed the old wounds in my knees—and not all cars are on the upward slope in value. The trick is knowing when to jump into, and out of, a vehicle. Sometimes this is easy: How many times have you gotten up, jumped into your car, exclaimed your joy in its perfection, and then driven to the dealer and traded it? Probably never. The reality is that people generally sell when their satisfaction drops. And there is usually a reason for that. We understand this. Most of us buy a 10-15 year old car with a hundred thousand miles on it and expect to do at least some maintenance, if not out-and-out repair. People don’t usually trade or sell older cars unless something is wrong. I think that is the reality of our world, and if you are not prepared for that, then you are a bit naïve. We recently bought a 2004 Focus SVT that my son Tom will be building for the magazine. Once we test drove the Focus, we pointed out to the seller that the car needed brakes and a clutch to be worth his $5000 asking price. He could either fix it and get his number, or we could do the work ourselves and give him $3500. We walked away with a really clean $3500 Focus SVT. Again, people get rid of used cars when they are tired of them, the cars need some work, or more likely both. And most of them talk themselves out of some money in the process. Now, here’s the tricky part: How do we avoid being those guys? Specifically, how do I avoid this? 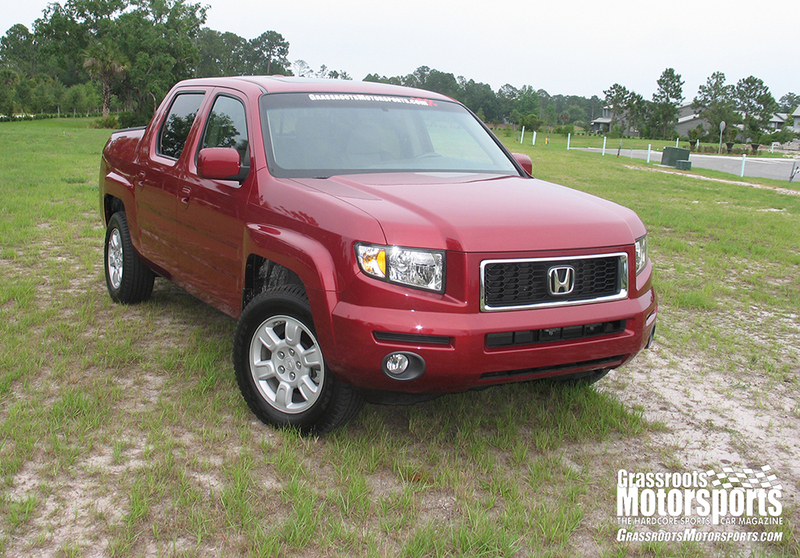 Ten years ago I bought a new Honda Ridgeline as my daily driver. As I have written before, I have absolutely loved this vehicle as my primary transportation/shop truck. It now has 193,000 very trouble-free miles on it. The few times anything has needed attention, as a total car freak I have addressed it right away. I changed the timing belt at 100,000 miles, and have changed the oil religiously with Mobil 1 even though it still doesn’t use a quart between changes. Everyone who knows the vehicle tells me it still looks and drives like new, even though the payment book has been empty for about five years. All of these factors have led me to just keep driving this thing. So here is my dilemma: This year I am finally starting to have a bit of trouble with my beloved Ridgeline. An A/C hose was rubbing and gave up the ghost, the catalytic converter reached the end of its life, and a couple of the coil packs wore out. These issues combined with a few cosmetic things, like the headliner beginning to droop and the driver’s seat squab starting to deteriorate, have cost me over $3000 this year. While this still cost a lot less than five years of car payments, there is another factor at play here: This is my go-to vehicle. If I need to head to Road Atlanta for the Classic Motorsports Mitty or Import Carlisle to scavenge for parts, I take the Ridgeline. I need to be able to trust it. So far, it has never left me stranded, but what if it does? The easy answer would be to trade it in for a new one, but Honda in their infinite wisdom has decided to postpone the introduction of a new Ridgeline to 2016. I am damned sure not going to spend my hard-earned money on a ten year old design, so I am not going to buy a leftover 2014. My mechanic, whom I trust (Chris at the Auto Clinic of Ormond), looked over the Ridgeline and declared that with routine maintenance I could easily get another 100,000 miles out of it. That said, I know it is nearly due for a timing belt, tires and brakes again. So at what point am I throwing good money after bad? I don’t want to be the guy who sold a car just because it needed what any car would need at that mileage, but I also don’t want to be the guy who let familiarity lull him into spending a car payment for an old vehicle that’s long out of warranty. I’ll let you know when I come up with the answer. I have the feeling that it will be right after I needed to know it. Join Free Join our community to easily find more Honda articles. Fix it. Just take care of whatever's ailing it. If that satisfies you, keep it for a while longer. If it doesn't, sell it and "get your number" because you fixed all the stuff that needed fixing, unlike the guy who sold you the Focus. Cheapest way to own and operate a vehicle is buy new, maintain religiously and drive it until it can't be economically repaired. For me, living in the salt belt, that means repairing until the holes hit a size where I give up.In Florida that point is much,much further down the road. Fix the Ridgeline and buy the new version when it eventually comes out. Or, if you really want to give up I'll give you $1K for that POS. The payment on a new one is going to be $500+, and then you have higher insurance, and taxes. Your $3000 last year sounds higher than expected for that car. But it is still not half the delta to a new one with taxes and insurance factored in. Don't waste money on new cars, invest it wisely in racing activites! The big thing is to fix problems as they pop up, don't wait until the pile of fixes is so big you just say "to hell with it" and let it go. My father in law bought a truck new. Drove it for five years. Maintained it perfectly. Sold it to my brother in law. A window stopped working. He ignored it. AC went out. Ignored it. A laundry list of small things that would have been simple to fix on their own finally prompted him to send it to the crusher when Cash for Clunkers was in effect. It was the automotive equivalent of death by a thousand paper cuts. It pissed me off. Reliability is # 1 for me. That said, I've never had a new car. I buy something I want to modify/ improve, 3-7 yrs old, do the mods. Then, every 5 years, all rubber gets replaced (think of it...what gets you stranded most often? a leaky piece of rubber/ hose/ gasket, not a "hard part"). At 10 years, water pump, T stat, ICV, coils, radiator, brake hydraulics. Sure, sounds like a lot, but I do it when I want to schedule it, then 5 or 10 years of 90% reliable as "new", in my experience. I also get the car I want, the way I want it it, and drive it all the time. Unlike the "buy it new" poster, I'd suggest that depreciation on a new car is still excessive. Most of my cars/ projects are in the $10-18K range, and go 15 years or more. Currently a 1991 E30/ S50 swap (since 1997), 2000 MRoadster (3 years), 89 E30 track car (since 2002), 1999 F250 diesel (since 2006). YMMV.